I believe that planners are tasked with both sharing their research with others, while closely listening to community knowledge. Below are some examples of community meetings and other workshops I have helped design or facilitate. In addition to a traditional working group, I wanted to be creative with our engagement approach to a redevelopment plan for Norwalk's downtown. 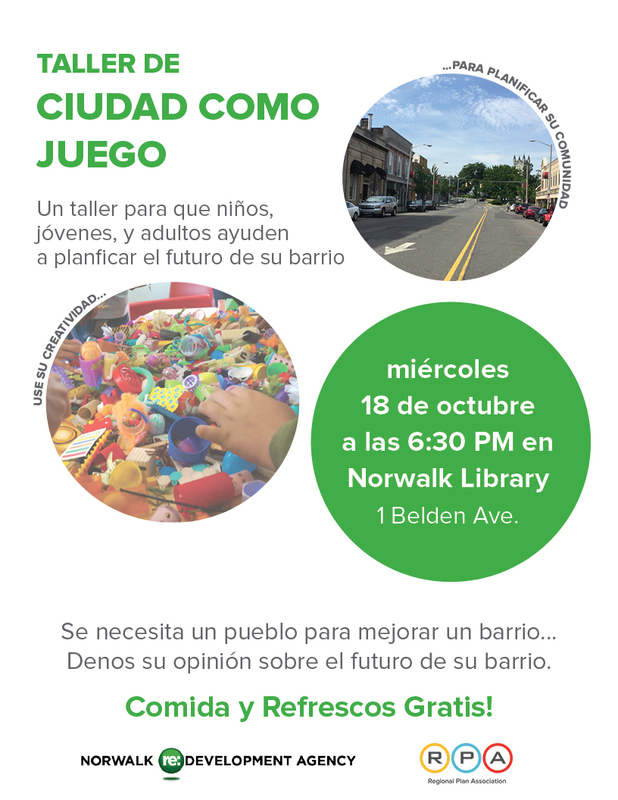 We made fliers in Spanish and English, hired a translator, and prepared a workshop to gather information about the neighborhood from both children and adults based on techniques developed by urban planner James Rojas. When the public meeting is taken out of its normal format, people are more easily able to talk about what they would like to see in their communities, instead of being afraid of having "the wrong answer." 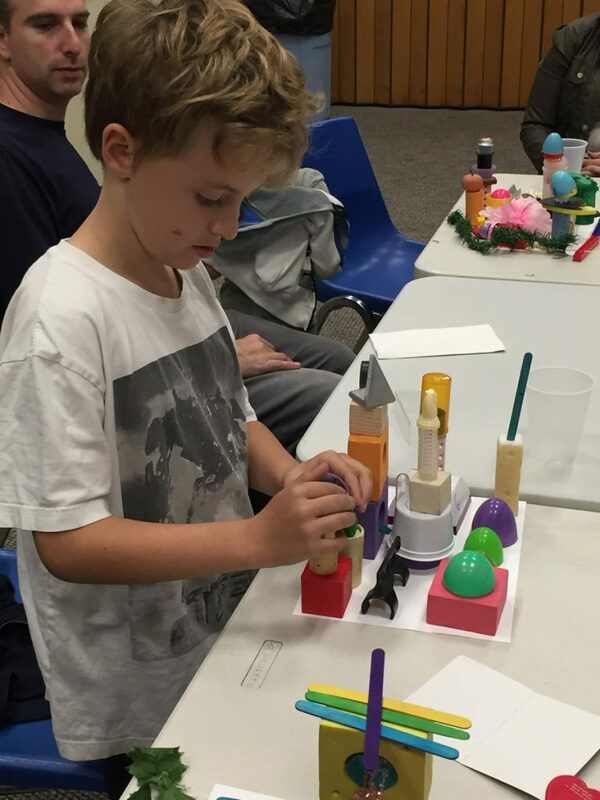 This type of interactive workshop also allows children to easily share their ideas for their community, allowing for multi-generational planning. Since health is a shared value for everyone, it can be a useful lens to translate abstract planning policy concepts into real, human impacts. We engaged several community groups across the region to learn about the health concerns faced by low-income communities. We defined health in the broadest sense, not only in terms of diseases, but also every day life effects on mental and physical well-being. To keep the conversation focused on human impacts, we decided to use body mapping during our meetings with Make the Road New York. Among other things, residents brought up the stress of long commutes as well as a lack of time to cook healthy food due to so many other obligations. A fellow Pratt Student, Kate Selden, developed a fun game/simulation to explain how housing pressures result in increasing rents and housing displacement. I helped Kate prepare the materials and curriculum behind the simulation and helped teach the workshop at Brooklyn Technical High School in Bay Ridge, in a Pratt Undergraduate class called "I Heartbreak NYC," and at Theater of the Oppressed NYC's annual Legislative Theater Festival. 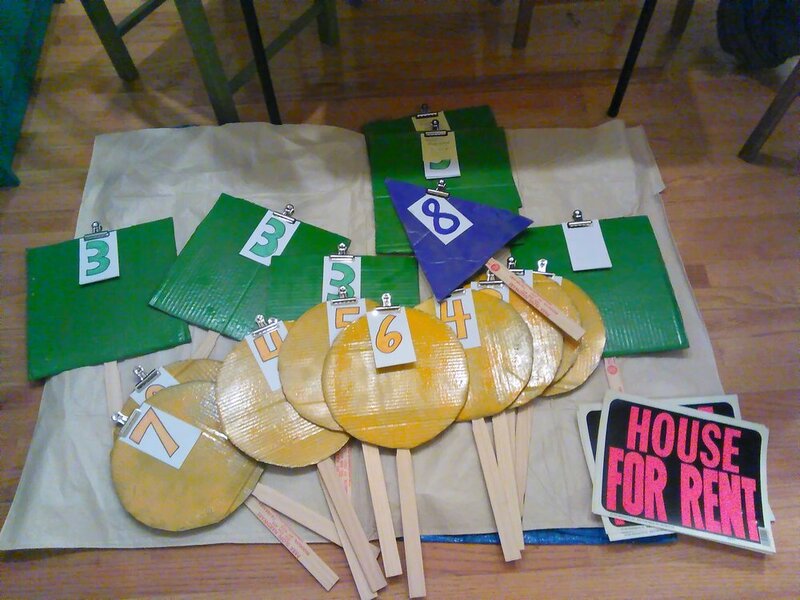 The workshop is a more intuitive way for students to understand housing pressures, as they experience "Market forces" raising the rents their landlords are asking for, and are pushed out (forced to move off of the game mat). Several New York City Councilmembers undertake participatory budgeting - a process where they devote a set amount of their budget to spend however their community decides. I facilitated the meetings for the education committee in Councilmember Carlos Menchaca's district by helping them decide on proposals and managing the process to be on the budget. Along the way, we also made some beautiful signs to support the proposals with a workshop by Arts & Democracy. Another Pratt student and I held an interactive workshop with a group of 4th graders based on techniques developed by urban planner James Rojas. The kids were given various trinkets and asked to design their ideal park, both individually and as groups. We then had a discussion with the kids about the shared themes between their parks, and what this meant for how they felt about their own parks and playgrounds in the neighborhood. While the designs seem simple at a glance, when a child explains why they placed a gate on their park because they do not feel safe in their own playground, the facilitator gains a wealth of information from that child's perspective. The Center for Urban Pedagogy (CUP) aims to demystify urban planning and policy issues through design. Their Sewer in a Suitcase is a portable tool that can explain NYC's combined sewer system and how it results in combined sewer outfalls (CSOs) during heavy rain events. 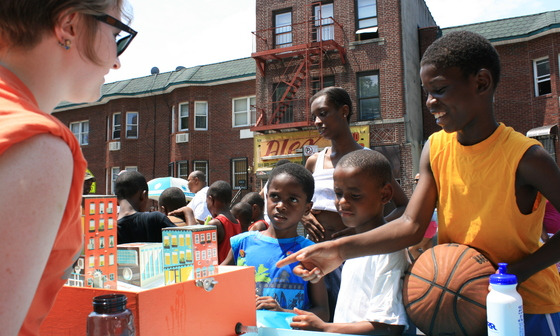 While I was an intern at CUP, I held two Sewer in a Suitcase workshops: one at a Mozilla Maker Fair in the Bronx and the other at Brownsville Multi-Service Family Health Center's Summerfest.